Cancer survivor Mellissa Matheson is living proof of how community donations truly save lives. 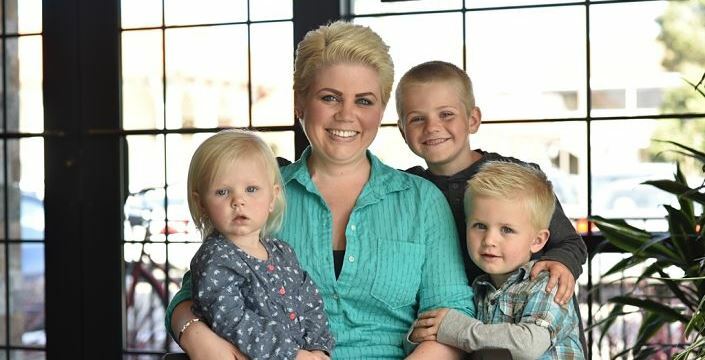 In 2014, Mellissa was diagnosed with bilateral breast cancer at the young age of 26. As a mother of three, Mellissa’s children were only six, two, and 11 months old at the time. Since she developed bilateral breast cancer extremely early in life, it was suspected Mellissa may have a genetic syndrome. Thanks to the support Mellissa received from Marian Cancer Care, she was provided with genetic testing vital to developing the best possible treatment plan. And, due to the treatment she received from Mission Hope Cancer Center, Mellissa is now cancer-free and looks forward to living a long, happy, and healthy life with her family.